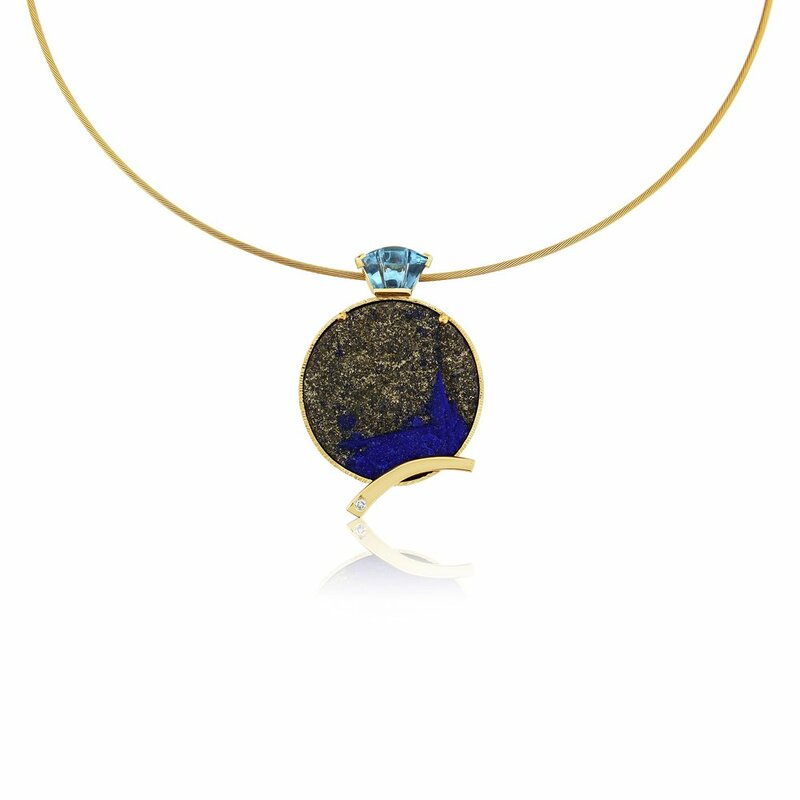 Unusual Azurite pendant with diamonds all hand made in 18ct Gold. 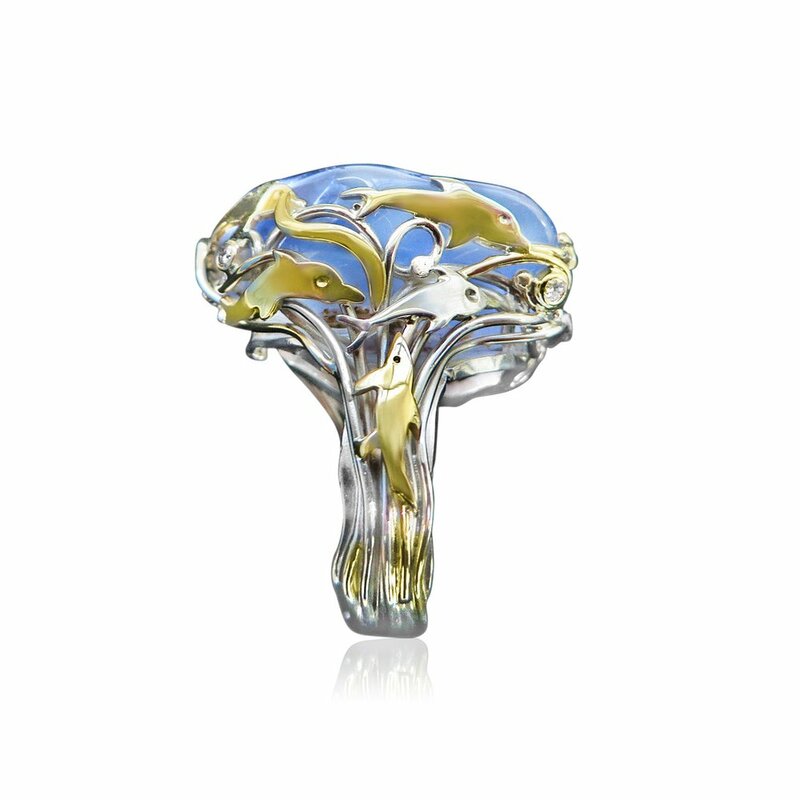 A real piece of collectable chalcedony untreated and a gorgeous blue in colour ,hand made in Silver and Gold and set with Diamonds. Beautiful deep blue Australian bolder opal in a 9ct gold hand made mount and set with accent diamonds.